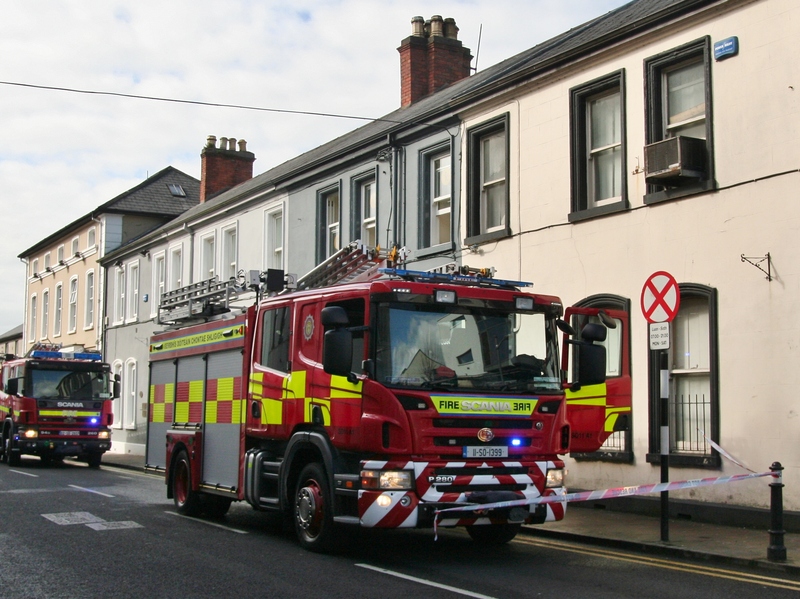 FIRE: Sligo Fire Service outside a premises in Wine Street. A fire broke out in the Wine Street area of Sligo town shortly before 2pm today. Sligo Fire Service were on the scene with three units in attendance to get the fire under control. Traffic is currently being diverted in the Wine Street area from the junction with Adelaide Street as far as the entrance to the Wine Street car park. The fire is understood to have been caused by a tumble dryer in a hairdressers close to the entrance of the Quayside Shopping Centre. A spokesperson for the fire service said that there were no injuries and that the damage was mainly caused by smoke. It is understood that the fire was very quickly contained and that the premises will be open for business as usual. Gardai are in the area directing motorists.